Toyota’s limited, but diverse, commercial vehicle range contains the Proace (medium van), Hilux (pickup) and the Dyna (light truck). Whereas the Dyna and Hilux are designed and built by Toyota, the Proace is a rebadged version of the PSA medium van, and it remains to be seen whether this relationship will continue into small and large vans. The Hiace was Toyota’s first van in the UK in 1982, and was a popular retail product among small businesses and sole traders. A second generation model was introduced in 1995 and lasted until 2007. For the first time, Toyota joined forced with the PSA group (owns Citroen and Peugeot) in 2013 to develop the Hiace’s successor, the Proace. 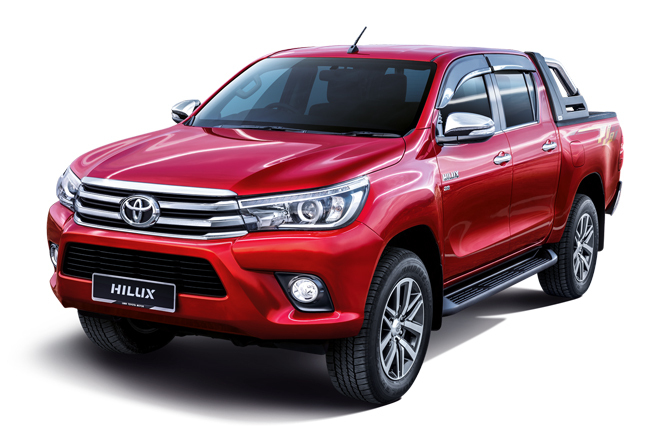 Launched in 1976, Toyota’s CV range is best known for the Hilux. It is now into its seventh generation, with an updated model expected in 2016. The Dyna light truck hit the market in 2001, but was withdrawn in 2013.